Southwest just released some availability Non-Stop to Colorado as a part of their latest sale. 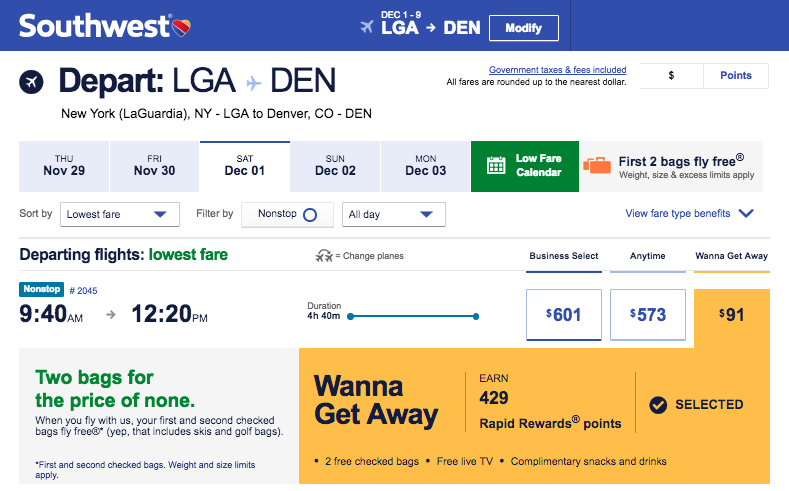 Even though $180 is a little more than the last Colorado deal I posted out of NYC, this is substantially cheaper for anyone looking to kick their season off early at A-Basin (or elsewhere) as bags — and skis / boards — fly free on Southwest. 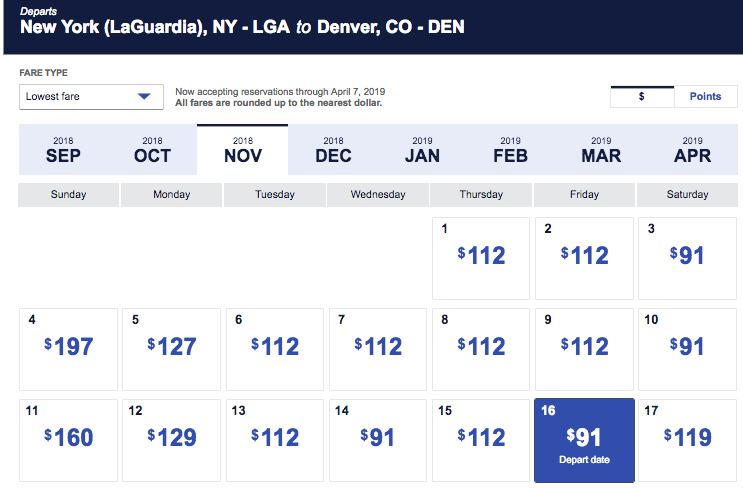 NYC to Colorado is consistently $275+ and the average has been hovering even higher of late — these cheap ski flights save 35% and get you there Non-Stop on Southwest. As mentioned the key here is the free ski bags. If you are bring two bags (ie. a rolley bag and your skis / board) that would run you $70 on the way out and $70 on the way back — on United, Delta etc. Factoring in the price of the bags this one amounts to more like 60% off the regular price. Of course your carry-on also flies free — unlike Spirit / Frontier and the other discount airlines. Really the only 'downside' to this one is that Southwest cuts their sale off at the end of November — meaning you are likely going to be ahead of the best conditions. A-Basin always makes snow and generally prides themselves on being one of the first resorts in North 'Merica to open every fall. If you want a jump on the season out of the gate this is likely our cheapest chance to make it happen. If you go a little later in the year (Mid November on) both Breck and Keystone should also be open — as should Loveland — all a stones throw away. That should land you on the right calendar. You are looking for the flights that are $91 on the way out there, and either $91, $108 or $112 on the way back. Generally the sale covers October through December. Once you select a date you want to hit continue at which point you are looking for the Non-Stop 'Wanna Get Away' flights (which for some reason are generally cheaper than those with more stops). Once you find one you like my advice is to book that thing. Cheapest price we have seen to Colorado with bags since AT LEAST April!